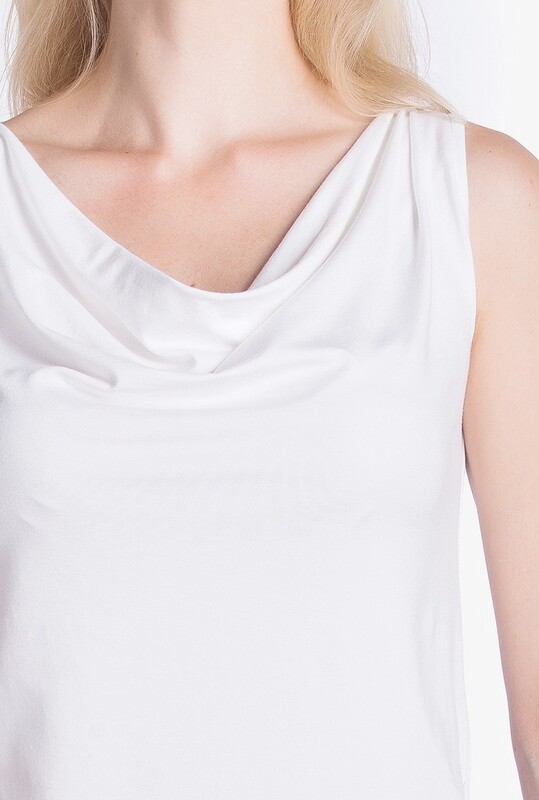 Justine top is a timeless piece crafted from our natural, cotton jersey. Its two pleats, one on each side, creates a natural drapery silhouette. The cowl neckline is a flattering classic that never goes out of style. Wear it with everything from a pencil skirt to tailored trousers to make a chic impression.